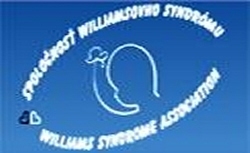 The European Federation of Williams Syndrome (FEWS) organises in cooperation with the Hungarian Williams Syndrome Association (HWSA) a European Conference on Williams-Beuren Syndrome to raise the awareness on this rare disease, make the stakeholder groups more interactive and establish international cooperation on expert field. The previous European Williams Syndrome Conference was organized in Paris in 2008. The member associations of FEWS realized this long gap which makes necessary to organize a meeting again, as the development of science is rapid in the area of Williams Syndrome (WS) as well. The most recognised speakers of Europe will exchange ideas with not only the experts of European Countries, but also with the families, coming mainly from the new EU Member states. The focus is to share good practices and knowledge on the disease between European Countries with a good expertise and other European Countries with lesser experience on the syndrome. The ultimate goal of the Conference is to help patients with WS have a better life by promoting or improving better care, including those elements which may integrate with the EU policy on rare diseases. The Conference targets professionals in different areas from different countries, who, by their professional position, have an impact on spreading the awareness and knowledge about Williams syndrome. We would like to establish a network with the leader European experts of the area with high international reputation as well. Participants to the Conference will be relevant stakeholders, i.e. representatives of healthcare professionals and caregivers, politicians, patient organisations, researchers and academics, national authorities, medical societies, health industry, media, etc. We especially target professionals in countries with rather limited knowledge about the syndrome to spread awareness. The Conference starts on Friday evening 21st and ends on Sunday 23rd November, 2014. The venue is Hotel Benczur in Budapest, Hungary. The following topics are presented during the Congress: paediatrics, cardiology, genetics, education, dental care, psychology, psychiatry, linguistics, music therapy, pharma research, sleeping problems, etc. A Poster Session is also planned. We hope that this Conference will provide edification for all participants in the interested fields. • Morgan Stanley Exhibition in their Office (1095 Budapest Lechner Ödön fasor 8.) 26/09/2013 16-17:00. It is a closed event where they pronounce the winner of MS Prize. • The other important event will be opened for the public at Szabó Ervin Central Library (Bp., Szabó Ervin tér 1.) at 17-19:00 17/10/2013. Everybody else will get the prizes here and we organise a small celebration. Some games will be also organised there for children. We plan to establish skype connection with Slovakian, Polich and Czech friends. We managed to organise one of the biggest international camps for families with Williams Syndrome. Over 160 participants (54 families) could spend one week together at Balatonfüred (07/07-14/07/2013) and having fun and wonderful adventures. It was a great pleasure to collaborate with Slovakia, Poland and Czech Republic in this project and having guests from these countries. A detailed description is coming soon, but you can see many pictures and videos on our facebook profile. Dear Friends, you can see a short description about our project in 5 languages here. In 2009. HWSA was invited by the Slovakian WS Association in the Tatra and we could spend 4 days togather in a wonderful environment and we managed to achive many adventure. Here you can see our video about the Hungarian FEWS Camp in 2006. It was organised by HWSA and 13 country participated. Our facebook profile will be ready soon. Please follow us to share all of our achivements, memories, plans and photos. Be the member of our TEAM!